Another of the gorgeous 300-year-old mansions in Paris’s Marais district is the massive Hotel de Rohan, officially named the Hotel de Rohan Strasbourg as it was built in 1705 for the bishop of Strasbourg, Francois-Armand-August de Rohan-Soubise. 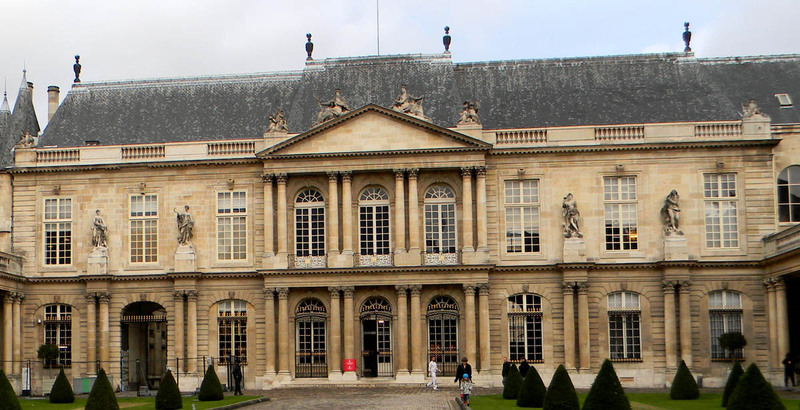 This 18th century mansion was designed by architect Pierre Alexis-Delamair as the sister to the nearby Hotel de Soubise estate, although the two bear little resemblance to each other. Of particular note are the mansion’s stables, the doorway to which is adorned with the engraving Horses of Apollo by Robert Le Lorrain. After the death of Rohan-Soubise in 1748, the house was occupied by three further generations of Strasbourg bishops. The French Revolution saw the eviction of the bishop from the mansion and the selling off its expensive furnishings. 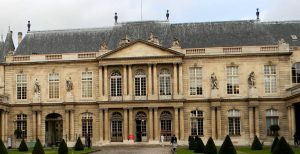 The building was claimed by Emperor Napoleon I in 1808 and turned into the imperial—and later the French government’s—main printing facility. 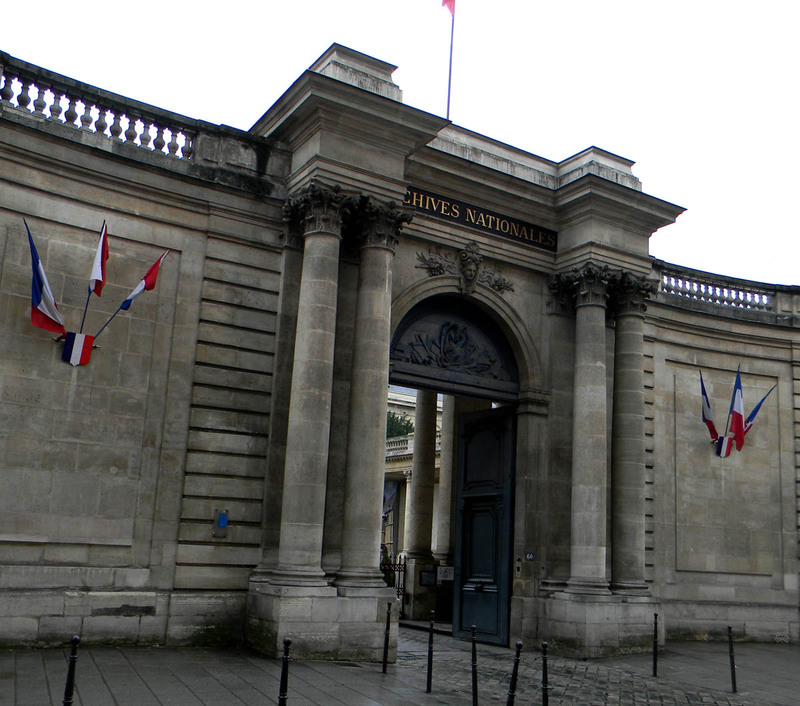 By 1920, all printing operations at the Hotel de Rohan had ceased and the building sat unused until the French government purchased the estate in 1927 to house France’s national archives. Today, the archives include nearly 70 million documents stored in the Hotel de Rohan. About one-fifth of these pieces date back to before the French Revolution, including letters written by Joan of Arc and Voltaire. Next-door sister mansion, the Hotel de Soubise, also is owned by the French government and hosts some of the national archives, as well as Musee de l’Histoire de France (French national history museum). Unfortunately, the Hotel de Rohan is open to the public only during special Archives exhibitions. However, the building’s courtyard is open to the public, and provides stunning views of the 309-year-old manor. 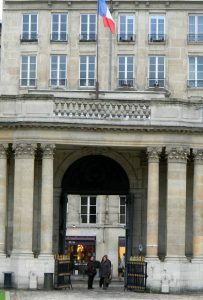 The mansion is located at 87 Rue Vieille du Temple; the nearest Metro station is Rambuteau. 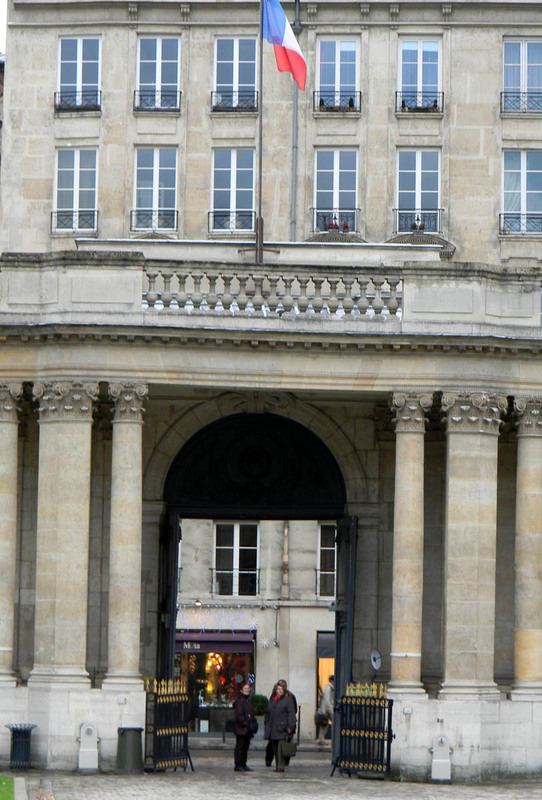 This entry was posted in Beauty of Paris, French Government, History of Paris, Marais, Right Bank, Sight-seeing and tagged Hotel de Rohan, Hotel de Soubise, mansions of the Marais, Marais, National Archives by Bob Adams. Bookmark the permalink.